Ok, you might guess what happened. We went to the dealership, my daughter, my wife and I met with the pleasant young salesman. I mentioned our conversation and he went to get the list of available cars. None of which were in our budget range. I reminded him of the prior phone conversation we had. He said he was speaking from memory and didn’t check the list while we were on the phone, but he would go to his manager to see if we could make our budget work with what was on the list. He came back and said the best he could do was $2000. I said we are leaving. And we left. As I was about to back out of the parking space the manager rapped on my car window and invited us back in. I declined, gave him my phone number and invited him to call me if he wanted feedback on what happened. I never heard from him. He didn’t listen. Had he heard me tell him how to earn my business, he would have made the sale. His competitor down the street did listen and we bought a car from him. Does Every Buyer Have A Unique Buying Style? Yes. But there are common elements you need to include in your selling style. A need – we needed a cheap used car. A budget – not always expressed but certainly on their mind. A way they make decisions – in this story mom and dad would decide unless there was a strong veto by the daughter. Your challenge as a salesperson is to understand the buying style. How important is the purchase? Find the need or maybe it is just a want. What is driving the desire to make the purchase? Ask the buyer to “paint the picture” of what fulfilling the need would be like. If you are selling real estate, get them to describe in detail what the home would look like. Location, style, color, layout, landscape every detail they can imagine in the perfect home. Maybe the buyer is shopping for a family vacation. Again ask those open-ended questions to get the buyer to paint the complete picture of the perfect vacation. Pay attention to the key words they use and the emotion attached to them. Once you know what the buyer wants you can sell them exactly that. What If They Don’t Have A Budget? Yeah, right! When was the last time you bought anything without first thinking about price? Even when I needed to change from regular toothpaste to one for sensitive teeth, I checked the price difference. It is important to sell the buyer what they can afford. 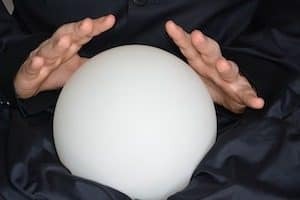 Sometimes a direct question works: “what is the price range you have in mind for your new home?” If they won’t answer, you will need to explain how knowing that will help you find them the perfect home and not waste time showing inappropriate properties. Fit your selling style of questioning to their buying style. Why do you care as a salesperson? After all you are speaking with the buyer, right? Yes until you get to the sign-on-the-dotted-line time and they say: “I’d like my wife to drive this car first.” Again asking the right questions helps you understand the buyer’s buying process. When I was a branch manager, we were looking for new office space. I told the realtor I would look at several spaces, give my recommendation but the corporate real estate team would make the final decision. We then worked together on the presentation to the corporate folks so I got the space I wanted and the agent got his commission. That’s a short question with a long answer. Too long for this short blog. So here is my short answer: if you have been selling for a while most likely you have a sense about buyers. In a few minutes listening to them you can get a feel for their buying style and adjust your selling style to match it. 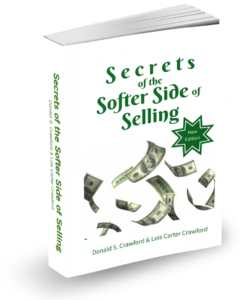 To learn more sales secrets see Chapters Seven and Nine, Understanding Buyer Behavior and Building Rapport in Secrets of the Softer Side of Selling. For even more sales help, join our FREE Sales Club! “See” you next week.